Have questions about this product (ID: 2639)? This shower base is designed to bring comfort to your bathroom and expand the lifetime of it. 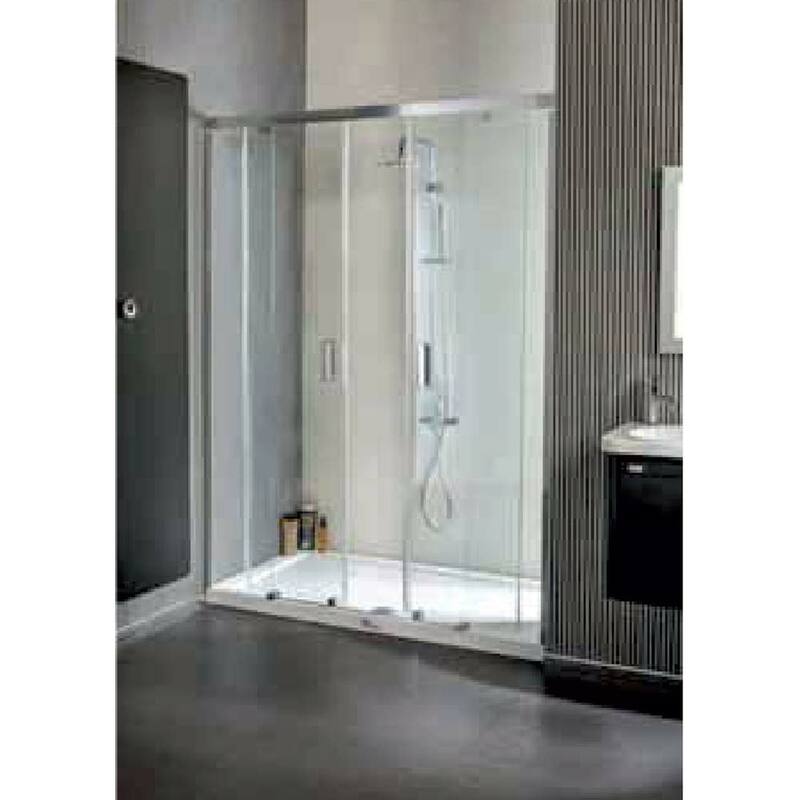 It is made of high quality scratch and stain resistant acrylic that is big helper to clean the shower and the base. It is also producted with a slip-resistant textured floor for safe showering which is really important thing when buying shower base.Its dimensions are width is side to side 48", depth is front to back 32" and thickness 2.4"
This shower base is designed to bring comfort to your bathroom and expand the lifetime of it. It is made of high quality scratch and stain resistant acrylic that is big helper to clean the shower and the base. It is also producted with a slip-resistant textured floor for safe showering which is really important thing when buying shower base. It has got integrated tile flange for easy installation and waterproofing; cUPC certified. It gives modern look to your bathroom and this shower base doesn’t take up place. No drain included. It is frameless glass design; one sliding door, flanked by one stationary panels. It is anodized aluminum wall profiles and guide rails. 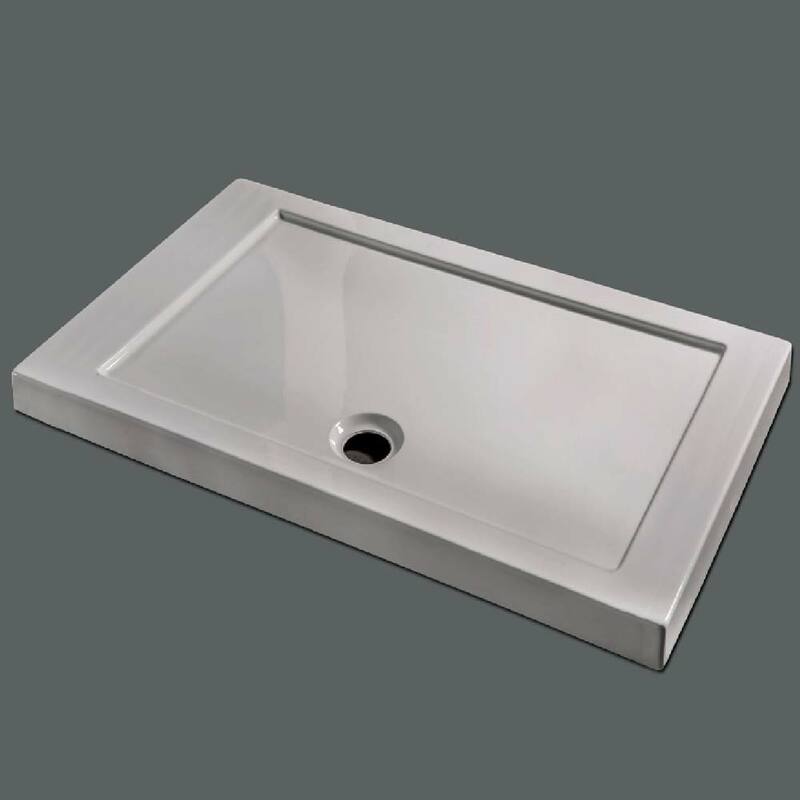 Its dimensions are width is side to side 48", depth is front to back 32" and thickness 2.4"
Rectangle Flat Shower Pan 29 1/2" 47 1/4" 2 3/8"